The D8H Napolean collection is our most high-end series. It is lined with real walnut veneer before it is painted by our master painters. This entire collection is entirely handmade to ensure the highest quality of craftsmanship. 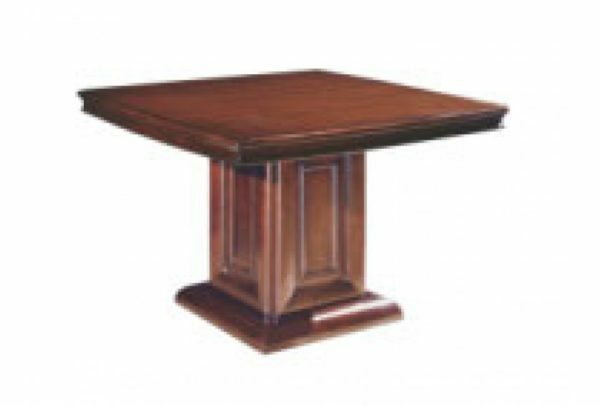 The D8H-ST42 Square Table is a great option for small gatherings without the need of a large, fullsized boardroom table. Great to have within your own office, this table is great for the signing and review of documents and even for sharing a hot beverage. Available in Walnut colour and with dimensions 42”W X42”L X30”H.